Who doesn't love an original? Since Albert Holloway created his signature snack in 1936, the classic savoury corn flavour and Ultimate Crunch of Original CornNuts stands all on its own. Now these are different, Based on the fact that they are an Original Flavour. I found that these were not over salty to which I was pleasantly surprised. My husband had a small handful but was eager to try the other flavors, Mr6 wasn't keen on them. I, however, didn't really enjoyed it due to the fact that, I broke a TOOTH So, if you have brittle teeth, one shouldn't eat these unless they want to visit a dentist. It's a great portion size, perfect for the bag when out and about and in need of something to give the little ones when in the car or pushchair etc. Would I buy them again? Me personally no, but the family possibly. Wow ... im in LOVE with this product! When i received these among some other review stock, these did not jump out at me. Im more of a savoury person and love chips...when i tried these they just really hit the spot. They are so crunchy and addictive its dangerous! I tried the original flavour second and really enjoyed it. 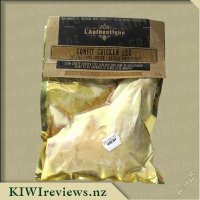 A previous review has said they used one of the flavours in a salad, and this is something i am going to try when i purchase these again (if they last that long .. i think i need to buy in bulk!). These were really well salted and the natural corn taste came through well. 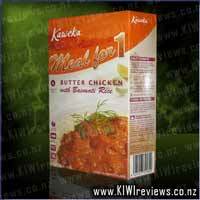 You get heaps in a packet which states on serve (thinking thats american serve! as there really is a lot!) 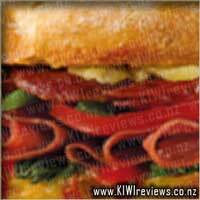 and it takes a while to get through the packet as they are really crunchy and nice to eat one by one. This gets bonus points for me as i love to keep snacking! We munched on these watching the opening of the Olmpics and I don't know whether it was because we were distracted or if they just taste really good but I did enjoy these ones the most out of the three that I tried. The first initial taste was very bland and there was no real taste but I loved the salt and the after taste of the salt. I especially loved licking my lips and getting the salt off them. I also found this particular product was not a hard eat as the Ranch and the Chile Picante my jaw wasn't working overtime with them. Again its a very loud eat so luckily it was just music that we were missing out on. As if to would I buy these again if I had a choice I would choose this flavour out of the three but if I had to choose between this and say pop corn would definitely go for the pop corn. It is a very good snack and I didn't get tired of them as I did with the other flavours and could quite happily eat the whole packet by myself. Well of the 3 flavours that I have tried these were my 2nd favourite. Now while admittedly when I first tried them I thought that they lacked flavour and were very under whelming, well after a bit more munching (and crunching very loudly) on them I realised that they do have a flavour, it was just that I foolishly tried them straight after tasting the chile picante ones and they had tainted my tastebuds. However after a small period of adjustment I came to find the natural taste of the corn nuts quite nice. These are a very filling snack as well as being a bit healthy and even my kids loved these, and they are generally very picky about what snacks they will eat (in fact it seems to be mainly not so healthy snacks these days). 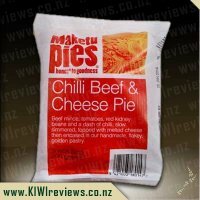 I am certainly going to be buying more of these, I just wish there were a local store down Wellington way where I could buy them from instead of getting them from the online store. 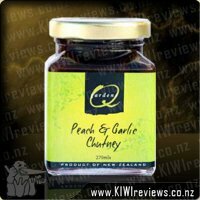 This is the second flavour I chose to try and I took it to a friend's 40th birthday to get some more opinions. My thoughts were how bland they were compared to the Chile flavour. There didn't even seem to be hint of salt, but again, very crispy and crunchy. Other people had varying views, with one person stating "I wouldn't walk across the road to go and buy them" and another really liking them, to the point of asking if the local shop sold them. Another said they were just like popcorn but with way more crunch. The general consensus, which I totally agree with, was they were bland and too repetitive to eat, a bag of pork crackling would have the same crunch but with more taste. They were very disappointing after the Chile flavour. 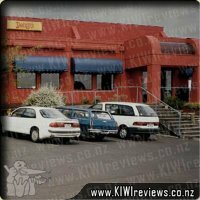 First off I have to say I shared there with some of the mokopuna to get their impressions, because the first taste ended up with a small and sharp piece of one getting under my dentures and causing me a lot of pain when it cut into my gums. This is more likely the fault of cheap denture cement and not the product, but it is something you should keep in mind if you wear false teeth. 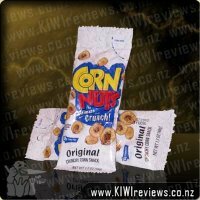 The youngest testing agent is only 6 years old and he really enjoyed these though he said it was more about the "very cool crunching noise, Koro" than the flavour, which everyone found to be basically "salty hard popcorn". The rest of the family all agreed it was something really different, as tasty as popcorn but with a much better crunch. Everyone also agreed this was not the right snack for a place where being quiet is the right behaviour, so taking it into the library or movies is not a smart move. The oldest testing agent is in his mid teens and he was tone who was least impressed, calling it "overpriced, overcooked popcorn in a fancy bag". Out of the 6 testers, he was the only negative vote with everyone else agreeing it was quite a novel snack food. We all agreed it was pretty much just his teen "issues" and in reality he probably liked it just fine but it would not be "cool" to be in agreement with a bunch of kids and an old man. I don't think this is a snack we will have very often. The price is OK but I think it is more of a treat than a regular snack. 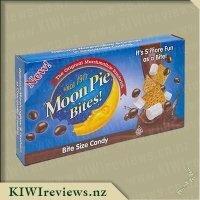 I might buy a few packs to keep on hand as a special treat for the visits from the mokopuna but it is not really something for me because of the dentures. I wasn't too sure about these, seeing as they are Original Flavour, and that usually means a lot of salt and a lot of oil (to my taste any ways) So when I tried these I was pleasantly surprised. It wan't too salty and the taste was great. My husband had a small handful but wasn't too keen on them. My 4yo tried one and declared it to be yuck. My 3yo came back for a couple of extra helpings, but then I discovered that while she liked the taste, she didn't like chewing them. I, however, really enjoyed it, and the packet was empty nice and quickly. It's a great portion size, perfect for the bag when out and about and in need of something to tide you over and make you feel full. 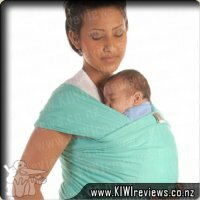 Based on this convenience I will be buying this again, especially when it comes to trips to and from hospital appointments. I must have been living under a rock for a while or something like that, as I have never heard of corn nuts before, and am blown away they have been around so long, I was looking forward to unleashing them onto my taste buds. First off, if you don't like things crunchy, and I mean really crunchy, or your teeth could possibly give way to very crunchy particles, then these things aren't for you, and are best to give to someone. Now if you have sound teeth, and love something crunchy, you will be in heaven, these things are crazy with how crunchy they are. Being the original flavour, you will either love or hate the flavour of the corn, which is pretty plain at best. I would have them again, but aren't my favourite flavour in the range. I also found that due to the crunch involved and the sheer effort required in eating these, the smallish bag actually took a while to get through, which is a good thing. I enjoyed them, but the taste was the let down, onto the other flavours now. I left the original corn nuts until last as the name didn't appeal as much to me as the other flavours. It had a distinctive corn flavour not unlike salted popcorn. The big difference between the corn nuts and popcorn was the crunch. The manufacturers weren't lying when they put CRUNCH in big letters on the packaging. The other thing I really liked about the packaging was the tear off corner. It was very easy to open and allowed me to open the packet without the delicious corn nuts spilling everywhere. The packet was a great size. It satisfied two adults and 2 pre-schoolers. It was probably the crunch factor that meant we had to do a lot of biting and this left us feeling like we had had a good treat. 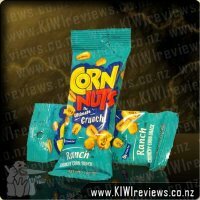 I enjoyed these corn nuts as a change from nuts or chips but I preferred the other flavours. 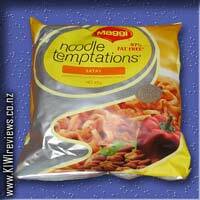 These would be great mixed into a scroggin for trampers or as a replacement for croutons in a salad. But not all is lost - the original flavour is not my cup of tea (or my kids aged 5 and 9) so thankfully there are other flavours to sink my tastebuds into. I opened this packet of original flavour CornNuts last night to share with my 5 year old. The back of the packet does not recommend you share with anyone under the age of 6, so I was super cautious with her. I can understand the message because these are hard, and the right size to block an airway if you weren't being careful. Out of the three flavours, I was convinced that original flavour would be my favourite. I have a childhood memory of trying CornNuts at a friend's house. Her dad used to make them. They were salty and oily and so yum. These were the closest to my friend's dad's recipe. But they are not oily at all and tasted delicious. That said, these corn nuts were my second favourite out of the three flavours. I just preferred the spice of the chile ones better. I love the way these crunch so loudly. My daughter loved that about them too. The original flavour also allows you to taste the full corn flavour as well which was a hit with her. I would happily buy this product again for sharing, though I'd be more likely to purchase the spicy ones over this flavour. As soon as I saw what these were, I knew I had to try some baking with them as well as just taste-test. After an experimental crunch, I figured they were too crunchy to replace peanuts in biscuits, but if broken down a bit more they might work in a museli slice... and I was right! Thus was born "Tucker's Fruit and CornNut Museli Slice". As for the CornNuts themselves... I originally started out quite dubious. My first taste rapidly became very painful due to a cracked filling suddenly deciding this was the final insult and snapping free. This left me with a rather uncomfortable hole to deal with, and a bad first impression. 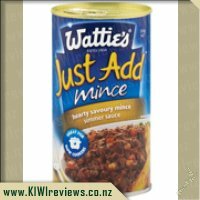 However, after a little bit of thought - and time to let the pain fade off - I realised the fault was not with this product at all, and it was just unfortunate timing that I had a handful of these in my mouth at the time the filling decided to give way. CornNuts have a rather confused history - some stories attribute them first to an American farmer, some have them beginning way back in Aztec days in what is now Mexico, some have them a very recent invention younger than I am... so as to the true origins... well, I guess we'll never be 100% sure. But either way, these taste great. Roasted corn kernels that have somehow avoided exploding into popcorn, these still carry that distinctive "almost popcorn" taste of roast corn. Add to that some salt, and you have something quite unique. Overall, these were my least favourite of the three varieties, simply because after many years of tastebud-abuse with curries and chillies, I like a lot of flavour in my food. Still, apart from the dental issue, I was impressed. Out of the three flavours I've tried so far, this is the least favourite one. 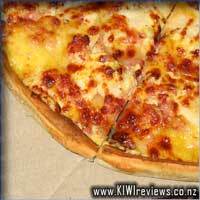 It was rather bland and wasn't as appealing as the ranch or the chili flavours. However, I did enjoy the loud crunch that the nuts gave off as I bit into them (believe me, I know that this sounds weird, but please bear with me.) The snack was nice and salty, with all the taste of salted popcorn but the crunch of snack nuts. The portion size was great, it was about the size of a regular snack pack of M&Ms, so it means that this would be perfect for just a light snack to have at home, for a midnight snack, or even take to the movies, as this is basically popcorn, but the water was removed from the core of the corn and then the whole thing was deep-fried and flavoured. 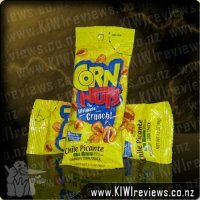 For flavour I will have to give it a 5/10, as I did enjoy the saltiness and familiar taste of the corn, but with them being the plain version of corn nuts there wasn't enough flavour to give it a full score. 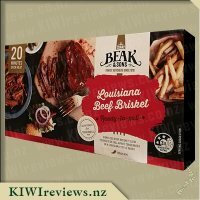 The price is good, it matches the value and portion size of the product perfectly, and at that price it means I could get a whole box for a very low price, big thumbs-up for the price aspect. all things taken into consideration, this flavour is okay, but I still enjoy the other flavours more. A flavoursome sauce complete with tasty pieces of tomato, carrots and corn.